Going to Korea for an exchange semester? Here’s a list of things you might want to know! You will need to get an Alien Card if you are staying for over 90 days. This card is your ID card instead of your passport when going to bars or clubs and will also enable you to get more options such as international money transfer, do online banking and having an ATM card when you create a Korean bank account. Usually, your partnered school will help you take care of this matter. DO NOT LOSE YOUR CARD! You will need to hand it back when you go through customs at the airport when exiting the country after your exchange! You can get a SIM card at the airport, bigger chained convenience stores such as GS25, CU, 7 eleven or any providers. I would however recommend you to get it at the airport, as not every convenience stores or providers will be able to speak English. The biggest operators are Olleh, Sk Telecom, LG U+, KT and EGSim. Buy the cheapest option out there. Unless you are the CEO of a company, you don’t need 4GB of data. Most cafes, restaurants and some touristic areas will have free Wifi. If you run out of data, you can top up at any big-chained convenience store or download the provider’s app and do it online. All you need to know is your Korean phone number and tell them the amount of money you want to add. You didn’t manage to get a spot in the dorms? Don’t worry. There are plenty of other options. 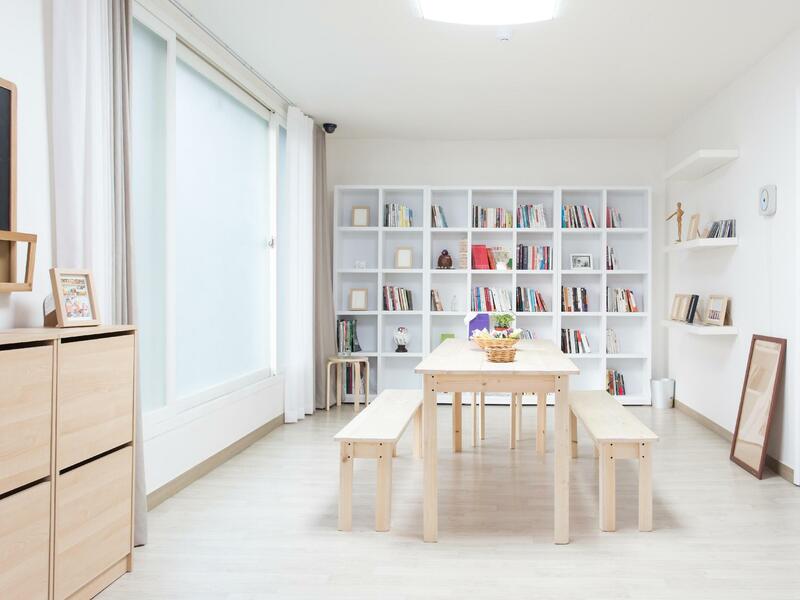 As many Korean university students come from outside of Seoul, this phenomenon has generated an industry for goshiwon, hasukjip, one-room apartments and guest houses. Most of these housing can be found near universities, but the pricing may vary depending on the location. Goshiwon (고시원) are very cheap, very small and furnished. You will also have to share the bathroom with other residents. Pricing can be as low as 200$ per month and you won’t have to pay a ridiculous amount for the money deposit (that they give you back once you leave). Often, you won’t be allowed to bring in guests. Hasukjib (하숙집) could be described as a Korean homestay. Most of the time, it will be run by middle-aged woman or man, and they would cook your meals for you according to the arrangements you have made. 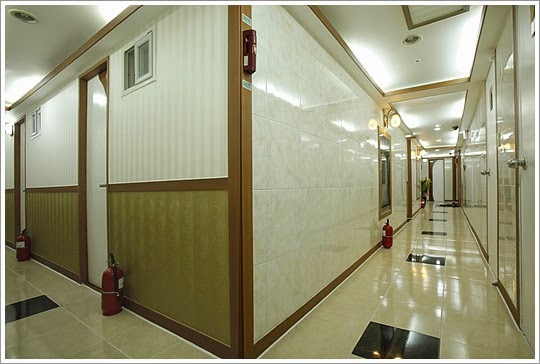 Finally, in a guest house, the common areas such as the kitchen, the bathroom and the living room will be shared. Depending on the guest house, some places will include breakfast in the pricing. Four of my friends and I stayed at a guest house for a month during our exchange semester in Seoul, and we got acquainted with the owner. Breakfast was included, and every now and then, she would also make us some Korean BBQ! She would also take us to traditional markets and on ski trips. The cost, however, will be higher than for Goshiwon and Hasukjib. It is a rechargeable transportation card that can be used in buses, subways, taxis, some convenience stores and traditional markets. When I was studying at EWHA Womans University, this card could also be used with certain machines such as the photocopy machine. Note that not every taxis, convenience stores or stores at traditional markets will accept this method of payment though, so you will have to look out for the T money sign. Also, don’t forget to get the balanced left on your card before you leave the country! This can be done at any T money balance return in the subway or at some convenience stores. Have you ever been to a country where cash is the only type of payment accepted, and no ATM was in sight? Well, I got some great news for you! You can use your debit/credit cards ALMOST EVERYWHERE in Korea, even when you are buying a 1$ candy! Often, you wont need to sign for using a credit card, and when you do need to, you could literally come up with any signature. Also, creating a bank account in Korea is quite easy for exchange students. Many big schools will have a bank on-campus. All you have to do is fill in a form, present it at the bank with your passport and that’s it! You will receive the booklet a few days later. In my case, my student ID card could be used as a debit/credit card, as well as T-money card, so I didn’t need a separate banking card.